Every time the City Assessor comes out to look at one of my projects, they ask if I removed all the walls. I guess if I completely gut the building and rebuild, it is somehow more valuable? That's something I will never understand, because as long as I replace all the wiring and insulate the walls - I get the same benefits and keep the original plaster. And I love those plaster walls! 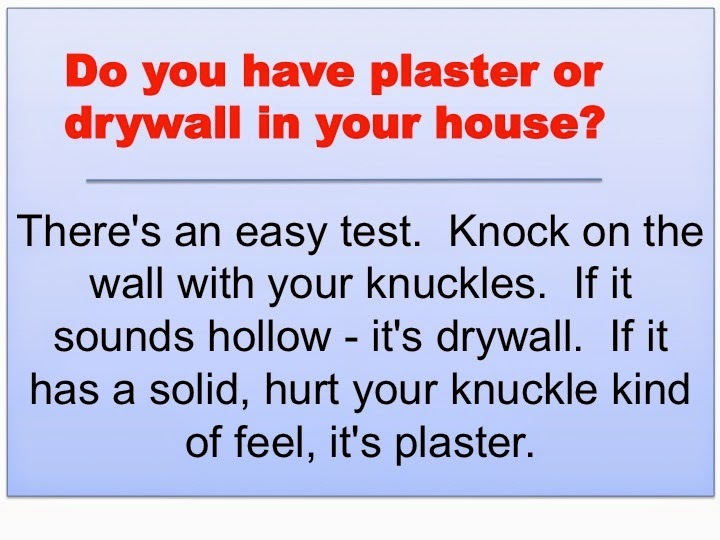 Do you have plaster or drywall in your house? There's an easy test. Knock on the wall with your knuckles. If it sounds hollow - it's drywall. If it has a solid, hurt your knuckle kind of feel, it's plaster. And there was a huge amount of work that went into creating those plaster walls. 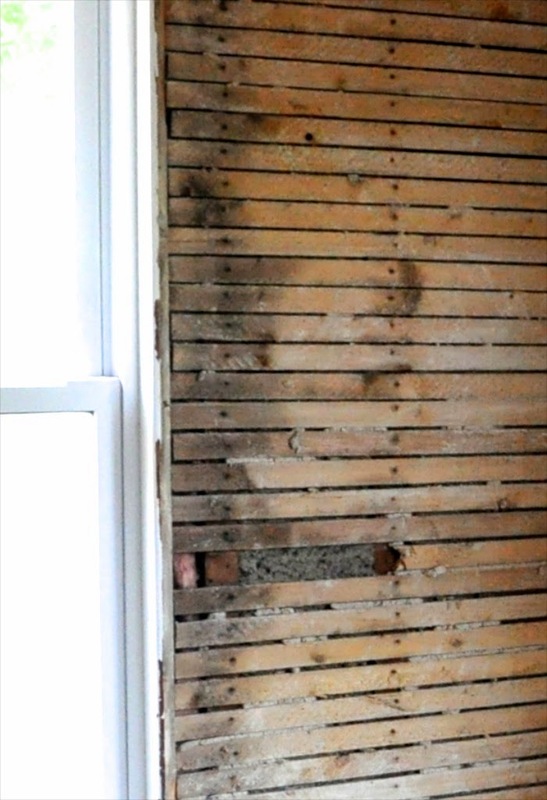 They started with wooden lath (thin wood strips) nailed evenly across all the studs. Then they coated the lath with a rough 'scratch' coat, that sometimes included horse hair or other binders. That oozed between the wooden lath to create 'keys', which add strength and stability. Then they topped it with a brown coat, to even out the scratch coat. And finally, they added a creamy finish coat to create that smooth, beautiful finish that I love. Sound time consuming? You betcha! And as you can imagine, all that time and labor was expensive. So with the introduction of drywall, plaster quickly fell out of favour. But plaster is pretty amazing. It's obviously thicker than drywall, is more fire resistant, and deadens sound better. Better yet, its durability lasts for decades (sometimes centuries). What drywall can do that? Of course this 1928 house was filled with plaster walls. And some of them were in such bad shape, we had to tear them out. In fact, when we jacked up the kitchen floors to make them level, several walls cracked so badly, they fell apart all by themselves. But the other walls just had some random cracking and bowing that could be easily repaired. 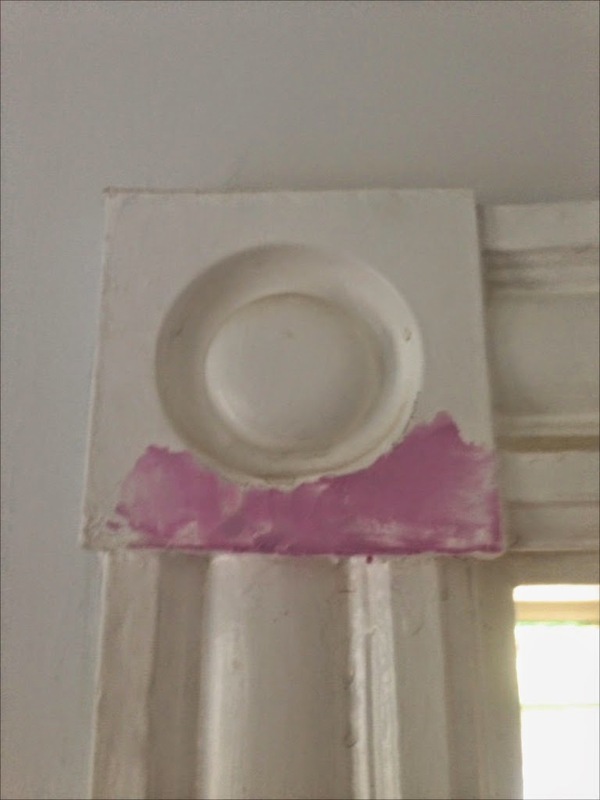 Want to see the pro secrets for repairing old plaster? 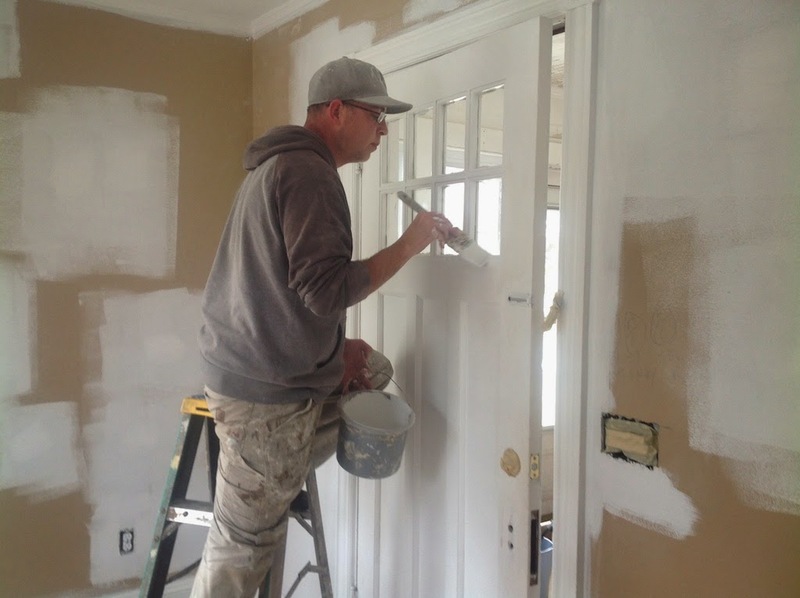 Andy Lavelle of Lavelle's Painting Co. came out with his team to do the repairs. And it was a lot of work! Here's how he started on a hole in the ceiling. First step, you need to cut the plaster back to a stud to secure the repair. Once the space is prepped, you can screw in a piece of drywall to fill the space. Add mesh fiberglass tape and then you can add successive coats of joint compound to create a beautiful finish. This ceiling was the biggest challenge. We had lots of cracks - looks like a spider web! But the guys got it all patched up and finished with a final skim coat. Watch how they do it here - doesn't it look easy?? And of course once the repair work was done, they needed to prime and paint. The woodwork also needed some attention. See this before photo with the ugly old drips on the antique rosettes? Andy scraped off the drips, repaired the bumps and now it gets 2 coats of crisp white semi-gloss. The China Cabinet is almost finished. 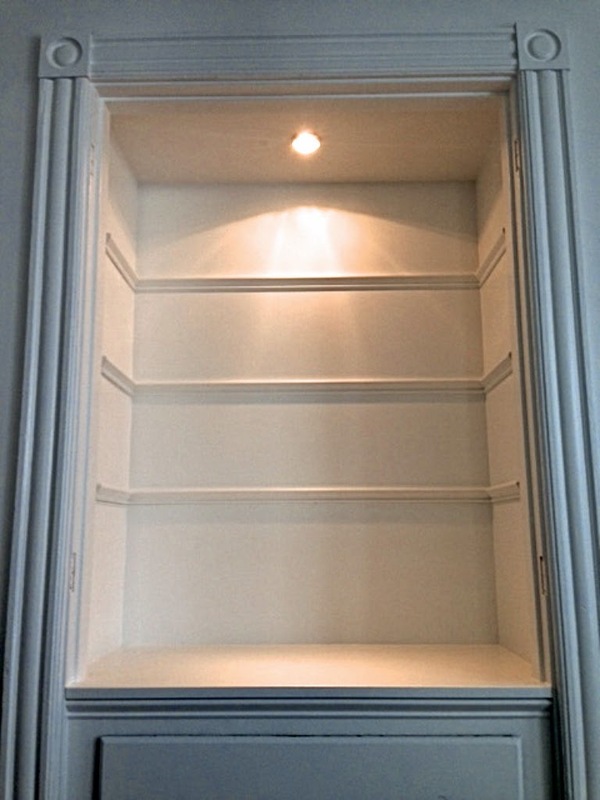 All it needs is the glass shelves and the original doors to be installed. It's gleaming after the prep work and coats of fresh paint! Andy's got more work to do - but we're thrilled with the progress and the restored, original plasterwork! Thank you for the lesson in plaster - that is fascinating! 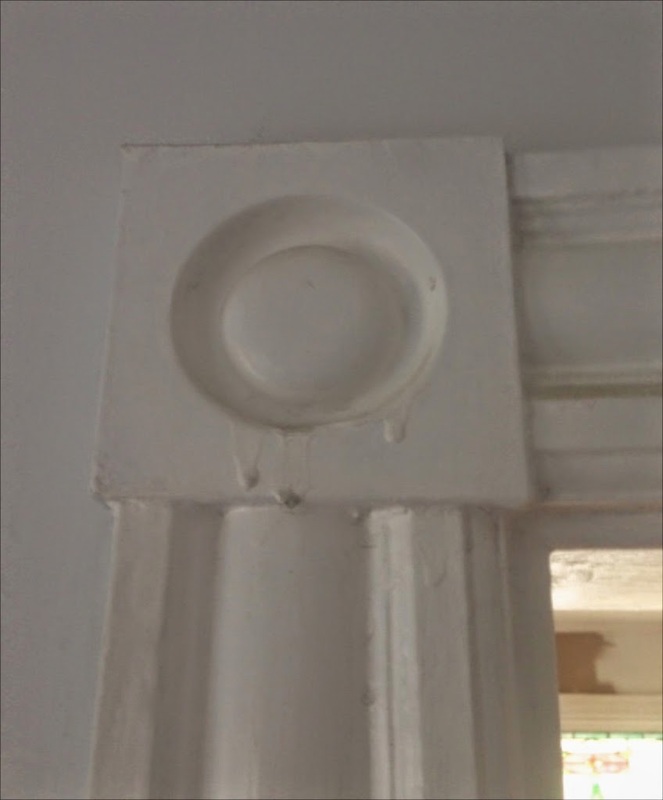 Will you please comment on how to drill into plaster so it doesn't crack, if you are hanging a shelf or similar? And Merry Christmas to you and the team! Glad you liked it Mitzi! 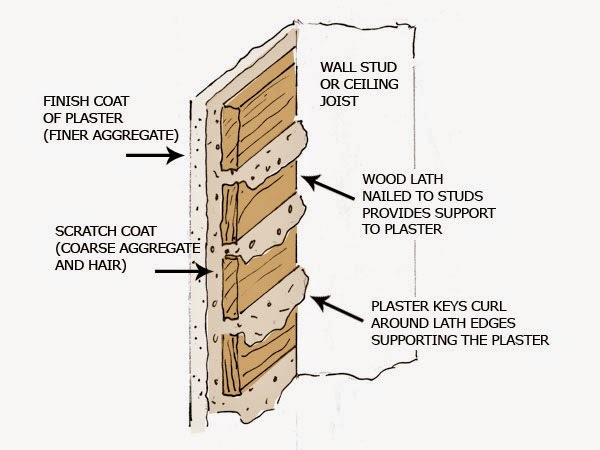 And thanks for reminding me about nailing into plaster - it's something I need to tell my tenants as well! 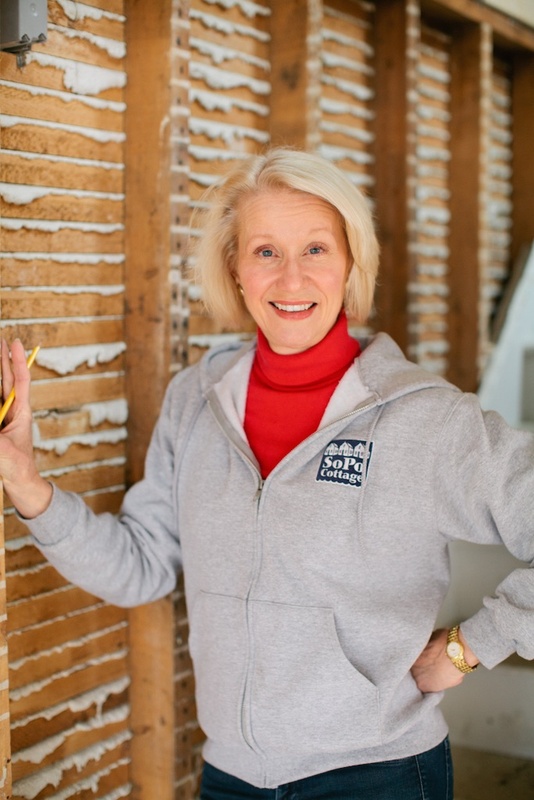 If you don't take precautions when you nail into plaster, you can end up with big chunks missing, or worse still, add big cracks that will need to be repaired. But it's easy to prevent that. Put up 2 overlapping pieces of masking or painting tape and nail through the tape. Use good firm strokes with the hammer (if you're tentative, the nail will just bounce on the lath, creating further damage). Once the nail is in, pull the tape off and you have a perfect hole! I have plaster, but it isn't traditional lathe and plaster. My house was built in 1965 and it has a wall board system with plaster on top of it. The walls are rock hard! The home inspector told me that this process was done in the 50s and 60s. I'd never heard or seen of it before. Have you ever come across it in your renovations? The 1948 ranch/colonial project that we did a couple of years ago had that type of system. 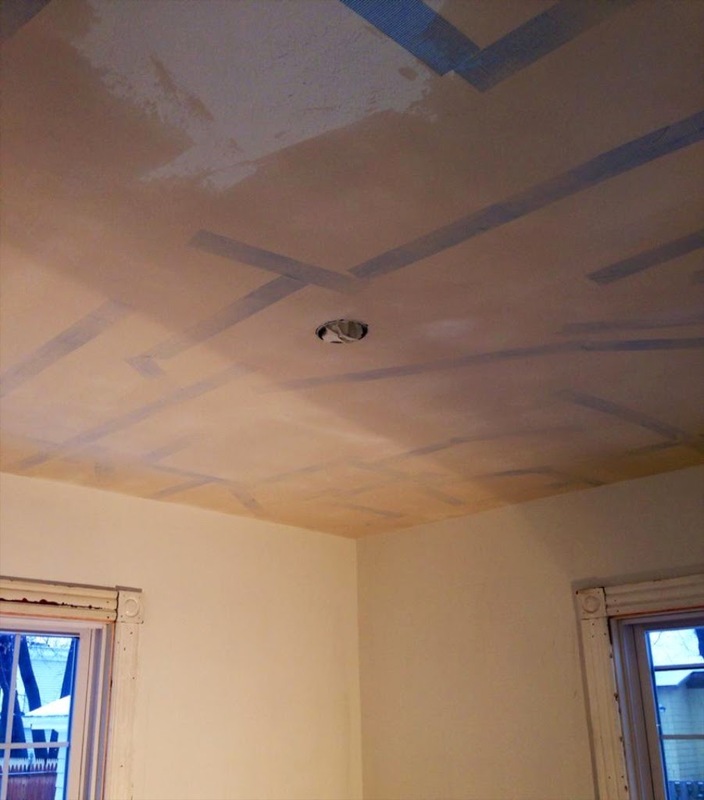 At first we thought it was drywall, but when we started demo-ing the walls, we quickly realized it was a blue board system. And you're right - it's rock hard and extremely durable!